I was totes-mcgotes a lucky young lady last week- I got sent to The Fancy Food Show in San Francisco for work. Whats better than aisles and aisles and aisles of food that you can taste for free, NOTHING. Cheese. Ice Cream. Ketchup. PICKLES. 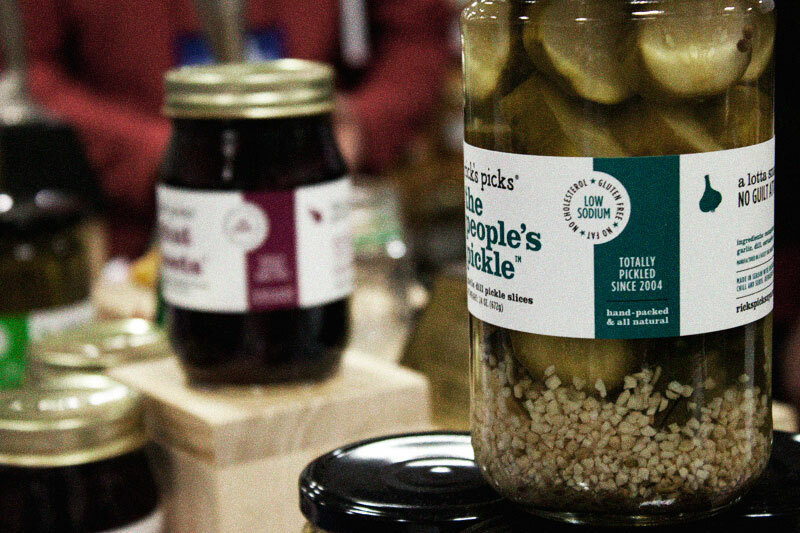 Did you know that I adore PICKLES? Well, now you do. 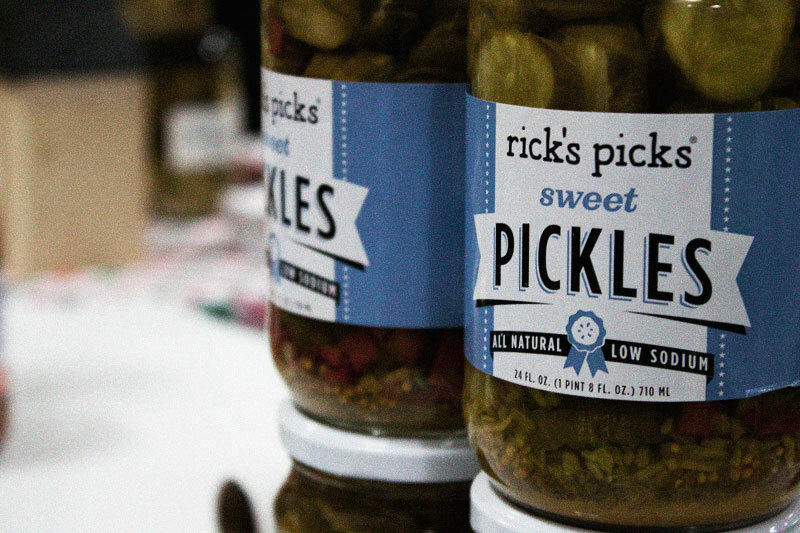 When I saw Rick's Pickles it was an instant love connection. Pickles. From NY. Great design. Um. Yes. 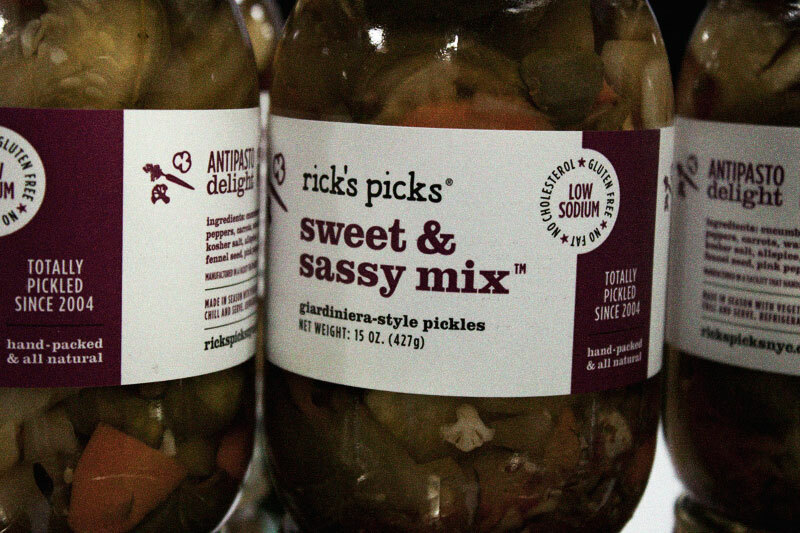 Rick started pickling in 2004, I'm so upset I am just discovering him now. 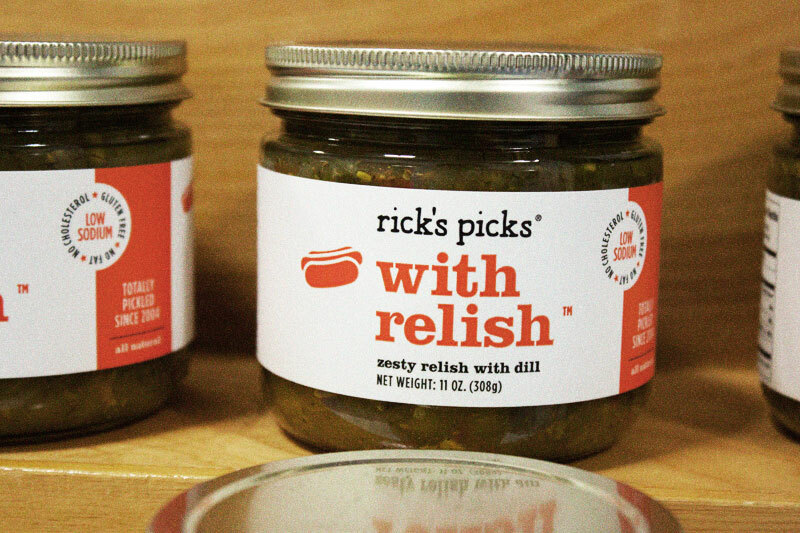 With fourteen varieties of shelf stable, all natural, hand packed pickles, he is breaking the boundaries of traditional pickling; surprising even a so-called pickle lover like myself. Ok. I know, this is a design post, but if I've said it once, I've said it a thousand times, when there is a perfect combination of food and design it is pure heaven to me. I mean, look at that simple yet gorgeous label. Black + White + One Color is all thats needed here to get the point across. 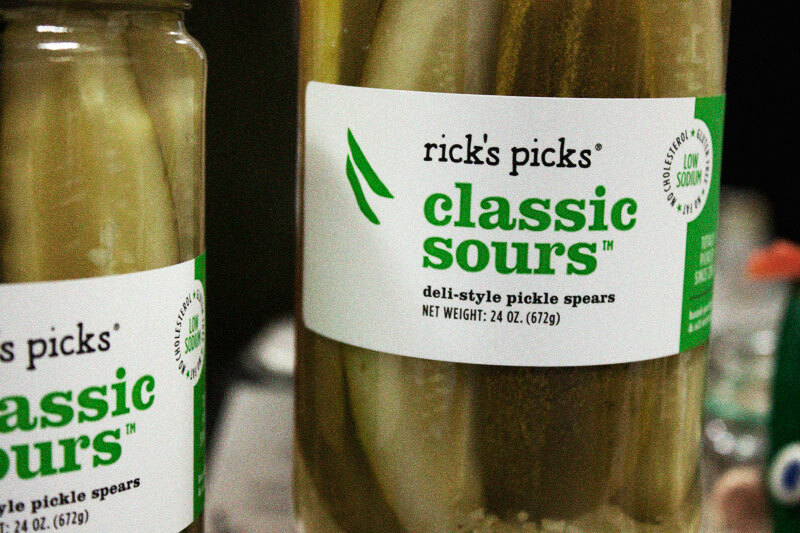 We're pickles. We're modern. We're awesome. Some of these names are just, phat? Bomb? Jammin'? You get what I mean. Oh Rick, will you marry me? Look at those babies. Perfectly packaged. Perfectly pickled. I'll take 'em all.